In my little world of Hanalei, on the island of Kauai, Carmen Swanson is known as a great hugger. Smiling, she wraps her arms around a taro farmer who is a special friend. He pauses from his toil to receive the hug, standing in the midst of fields that spread like a patchwork quilt over the feet of thickly forested mountains. I can’t take my eyes off my daughter, as her sturdy dark arms reach around the farmer’s even darker stomach, well greased with palm oil. As I watch, I’m thronged by memories. My daughter is 10 years old, but I see her as a baby, when she was sick, malnourished, and surviving on the edge in Central America. And I (her prospective adoptive mother) had just been diagnosed with cancer. Perhaps, if my life had been different, my husband and I would have panicked. But we had our faith, which gives all of us a completely different way of looking at the world. “Patience attains all that it strives for. He who has God finds he lacks nothing. God alone suffices,” Saint Teresa of Avila said. And patience means practicing the most difficult Christian virtues. Hope. Love. Restraint. And courage. What you learn from a serious disease is to assume nothing—not even that the doctor is right. Often a doctor’s instincts about a patient’s prognosis are correct. Occasionally, they’re wrong. But no one knows until the final test results are in. And no one really knows until God reveals His will, because some people do miraculously recover. When I was in college at Arizona State University, I often went to charismatic Catholic retreats with my roommate. She was blind and also had cerebral palsy, and she gave me a beautiful example of how to make a meaningful life from the materials at hand. I remember a retreat at which we studied these words of Saint John of the Cross: “At the end of our life, we shall all be judged by charity.” My roommate often cited her own interpretation: “When in doubt, do the positive.” I swallowed that message and have used it many times. But never so often as in the months following my cancer diagnosis. We didn’t cancel the adoption; we simply waited for God’s will. And while we waited, I discovered that a cancer diagnosis doesn’t rule out a woman’s chance to adopt. Nor does a diagnosis of diabetes, lupus, depression, or any other major illness. Health conditions are a serious consideration, but they are only one of the factors that are assessed. In an agency adoption, overcoming a serious illness can demonstrate the couple’s ability to deal successfully with stress. In fact, this experience can even enhance their agency’s view of them as prospective parents. Naturally, there are birthmothers who are nervous about choosing a woman who might not survive, but many such women are nonetheless chosen. A woman in Canada who became a good friend was presented with the opportunity to adopt a child after her treatment for breast cancer. A birthmother whose own family had faced a serious disease chose her and her husband over other couples. When my friend’s tests indicated her present health was good, the birthmother felt she would be the best parent—because she would have the most internal strength and compassion. Fortunately, tests eventually revealed my prognosis was much less severe than the doctors first thought. And my husband’s good health, commitment to parenting, and involvement in the adoption played a key role in making it possible for us to continue. Still, there were many anxious days. In the end, though, we were much more concerned about how our child would handle the transition to her new language and culture than we were about my disease. We live in a world that’s cruelest to the most vulnerable—the sick, the aged, and the poor, as well as children and preborn babies. Since the adoption, my husband and I have been privileged to help with multiple medical missions for children in Guatemala, including clinics in Panabajal and San Pedro la Laguna, as well as the Santa Teresita Misereor Hospital in Solola. But we’ve also seen all adoptions to the United States from Guatemala suspended. Many more children in that beautiful country are now standing on street corners, looking in gutters for food, and knocking on windows of passing cars to beg for money. And many prospective parents are devastated. Exactly what will happen next is hard to say, but Guatemala is currently officially closed to inter-country adoptions. 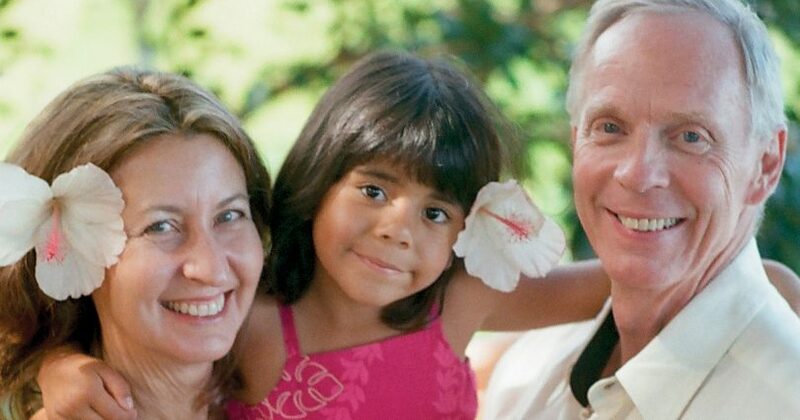 According to the National Council for Adoption, there’s no real indication of whether Guatemala will be able to reestablish an inter-country adoption program with the United States. Unfortunately, all foreign adoptions involve political risk, and it’s something prospective parents need to keep in mind. There’s no easy way to make the tough decisions in life. Adopting a child internationally is a major undertaking. It will change your life. It will change you as people, as you work through the adjustments that this new family member brings. If you’re not open to such personal change, international adoption isn’t a good decision, because it will probably be too hard for you. But if you’re ready for it, it’s an adventure of healing, caring, and love beyond measure. As David Avilla, the executive director of Advocate for Orphans, said, “Adopting one child won’t change the world; but for that child, the world will change.” I think of that while I watch my little girl finish her hug and wave goodbye to her friend. The healing power of the human body and the ability of a tiny child to regain her belief in the future are both tributes to the same thing. Miracles happen and they happen routinely, if we make room for them to become manifest in our lives. Cheryl Swanson is a nonfiction and suspense writer. She has authored five books, including Busting Loose: Cancer Survivors Tell You What Your Doctor Won’t, released in October 2009 by Zumaya Publications. It won a silver medal in the 2010 Living Now Book Awards sponsored by Independent Publisher magazine. 1Mary L. Gemignani, M.D., and Jeanne A. Petrek, M.D., “Pregnancy After Breast Cancer,” Cancer Control 6, no. 3 (May 1999): 272–276.